Joe Ng, the man behind the multi-continent, multi-industry JNE Group of Companies, will be officially inducted into the University of New Brunswick’s (UNB) Engineering Wall of Fame on Thursday at the Art Gallery of Hamilton in Ontario. UNB President Eddy Campbell will officially induct Dr. Ng, alongside Dean of Engineering, David Coleman. Dr. Ng received an honorary doctor of science degree at UNB earlier this year. “In recognition of his tremendous accomplishments and contributions, it will give me great pleasure to officially welcome Dr. Joseph Ng, alumnus, entrepreneur, visionary and friend, to the UNB Engineering Wall of Fame,” said Dr. Campbell. Born in China, Dr. Ng moved to Hong Kong at the age of 12 to join his father. He and four other boys made the epic journey by floating on a pillowcase filled with ping-pong balls across kilometres of open water before being picked up by a fisherman. 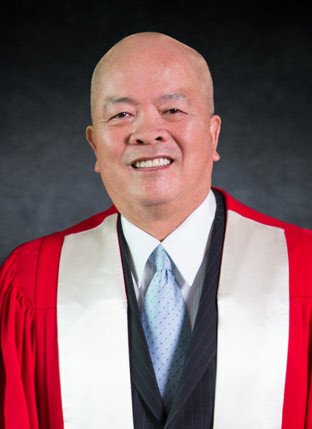 In 1968, Dr. Ng arrived in Canada to study electrical engineering, spending his first two years at the University of Prince Edward Island and then transferring to UNB to complete his engineering degree. After obtaining his degree, he returned to Hong Kong, but happily a friend convinced him to return to Canada, and he found work at Stelco in Hamilton. Dr. Ng founded JNE Engineering in 1980, which has evolved into a multi-industry group of companies with professional staff and projects around the world. Throughout his success, Ng has demonstrated commitment to his community as chair of the Hamilton Health Sciences Campaign, and through extensive involvement with the Hamilton Chinese community. In November, he received the inaugural Government of Ontario award for leadership in immigration employment. Dr. Ng will be the tenth inductee to the Engineering Wall of Fame at UNB. The wall was established in 2000 to honour distinguished UNB engineering alumni for their outstanding achievements and contributions to the engineering profession and their communities. The University of New Brunswick offered the first engineering course in Canada in 1854 and has been educating some of the country’s top engineers ever since. Friends, family and invited guests will celebrate Dr. Ng's latest achievement at the Tanenbaum Pavilion of the Art Gallery of Hamilton, 123 King Street West, at from 5:30 p.m. to 7 p.m. on Thursday, December 12.